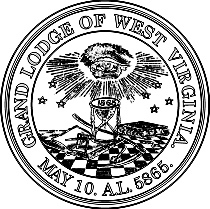 If West Virginia can withdraw recognition of Ohio so quickly and easily, why is it that some of the Grand Lodges in the United States who are really doing a wonderful job have not withdrawn recognition from West Virginia, clearly a rogue Grand Lodge, a long time ago? It seems to me that only the bad guys have the chutzpah to take action. And if the Conference of Grand Masters is truly our national voice in American Freemasonry why has it not voted on a proposal to withdraw recognition from those Grand Lodges who trample on the civil rights of their Brethren and who refuse to recognize Prince Hall? Why is it that American Freemasonry refuses to police itself? Are we waiting for the civil courts to step in? Do we really think that the actions of one Grand Lodge has no bearing on the public’s perception of all of American Freemasonry? Are we going to stand by and do nothing while one after another after another of these incidents of tyrannical power gone amuck , these actions of Right Wing Masonic Militia take place? Will there be any national response to the plight of Derek Gordon? The Beehive will wait to see further developments as this may be one of many battles to come. Widely rumored in Prince Hall circles is the story that the UGLE is seriously considering withdrawing recognition from all American Grand Lodges who refuse to recognize Prince Hall. There is no war in Freemasonry, Freemasonry exist as a way of life. Tis members that have not learned the lesson that may or may not have been taught them. For if one follows the teachings of Freemasonry, there would be peace and harmony between the brethren. In these events it is the brethren involved that are in error, not our ancient and honorable craft. Bad news sell papers and incites riots, so to does information passed among the brethren. It is the prejudice harbored in our hearts the not the wisdom of the craft that set men at odd against each other. It is a simple as the lessons taught by the working tools that would deter any argument between brethren. The more dirty laundry that is aired in public and public access forums, the more prejudice that is created. Instead passing on the bad, we should admonish with friendship and affability. No my brethren. Freemasonry is not war here. Only personalities, It is time to start again teaching the lessons of brotherly love, morality and truth. The Prince Hall controversy should be ignored. Anyone who wishes should allign themselves with a clandestine lodge and withdraw from any regular lodge of which they are a member. Why do we need a civil rights crusade to force regular lodge members to affliate with something of which they want no part. If a man does not like the current situation he should go somewhere else where he can be happy. To my knowledge he is not a Freemason, and he is speaking of political tyranny, but I think this quote is appropriate. West Virgina’s loss is Ohio’s gain. Welcome MWB Haas! Beehive: You are a complicated fellow. On another note – Why does everything that happens in Masonry have to be about PHA? I assure you that PHA is not as a big of a topic as you portray it to be. As for the rumors of UGLE withdrawing recognition from the ETJ Grand Lodges…the UGLE would hurt itself more than anyone else. The UGLE’s standard of ETJ is what the world pretty much goes by – or at least it used to. Does the UGLE share territory within its home confines? No, it does not. Neither do the other two “home” Grand Lodges. I am going to brag just a bit and say that there are probably very few folks that know more about ETJ than I do and you can take my comments on the subject to the bank. I just wanted to point out my previous comment on another post. James Grogan lives quite close to the Grand Master of Arkansas Mainstream. His named popped up in several forum posts as Grogan and being on various “Trial Commissions” that sought to slander and destroy reputations of good Masons who asked Arkansas to change. Thanks Mr. Grogan for informing us of this. Your comments make it clear why you all are doing what you are to Bro. Gordon. Gordon stood up to you demanding tolerance because of your buddys racist letter. Now you speak out regarding clandestine. Please my fellow Brothers, we cannot let this injustice continue. Bro Gordon may be silenced but I for one will not. This is a disgrace to all of us. And Thank God for the Grand Lodge of Ohio welcoming in Haas. “For historical and practical reasons, the Home Grand Lodges and others could not regard exclusive territorial jurisdiction as a basic principle for recognition. For more than 250 years the Home Grand Lodges have shared territory all round the world and continue to do so today. Indeed, in some areas we share territory with a local Grand Lodge formed since the Home Grand Lodges introduced Freemasonry into their territory. In the United States – where exclusive territorial jurisdiction was a principle for regularity – they have had to vary their views, as in many States the State Grand Lodge now shares its territory with a Prince Hall Grand Lodge, as the Home Grand Lodges do in the Bahamas, Caribbean and West Indies. It is nothing irregular if two Grand Lodges share territory by mutual consent. There ETJ is a weak excuse to hide behind. “The common factor in all these examples of shared territory is that the sharing is by mutual consent, and that is surely the key. If two or more Grand Lodges wish to share territory, why should we impose an arbitrary impediment on them doing so? Well actually, sir, you’re completely wrong. The UGLE does share territory within its home ground. Even without looking it up to check if there might be any recent additions, I can already think of three other GLs which have Lodges meeting right here in England – and I mean recognised GLs, not spurious organisations (although of course there are also various spurious bodies). One of these is the GL of Ireland, which has two Lodges meeting in England, both of which have been around for a very long time, so this isn’t even a new situation. The others are a couple of American GLs, which have a few military Lodges here for your servicemen (and even one American civilian Lodge). Of course we don’t welcome other GLs to set up Lodges here without asking us first, and of course we only give permission when there’s a good enough reason, but our rules have never precluded the possibility of sharing our home territory when we’re persuaded that there’s sufficient reason. We’ve never upheld the hardline territorial exclusivity which is still practiced by some American GLs, and we’ve always firmly rejected the assertions by some Americans that territorial exclusivity could ever be considered a Landmark. So anyone who took your comments on the subject to the bank would lose his shirt. If you knew half as much about ETJ as you boast, you’d have been aware of the facts before mouthing off. I appreciate your insight. The information you provided, however, does not change the intent of my statement. You have pointed out isolated situations that do not indicate that the “home” Grand Lodges are truly sharing territory with other Grand Lodges. In order to add to my knowledge – could you provide the names, numbers (if applicable), and Grand Lodges of the lodges you alluded to that are operating in England proper?